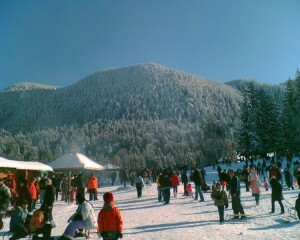 In Brasov County we find one of the most important and popular ski resorts in Romania, namely Poiana Brasov. Being only 13 km far from Brasov, it is the favorite destination for the inhabitants of this city but also for Romanians in general. As a top mountain resort, Poiana Brasov accommodates tourists in luxurious hotels or boarding houses and entertains them with highly equipped ski slopes, sports fields, a cable railway, numerous pools, clubs, and restaurants. 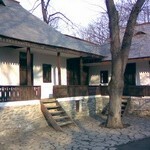 Poiana Brasov was set up in 1895 as a mountain resort for the people in Brasov. 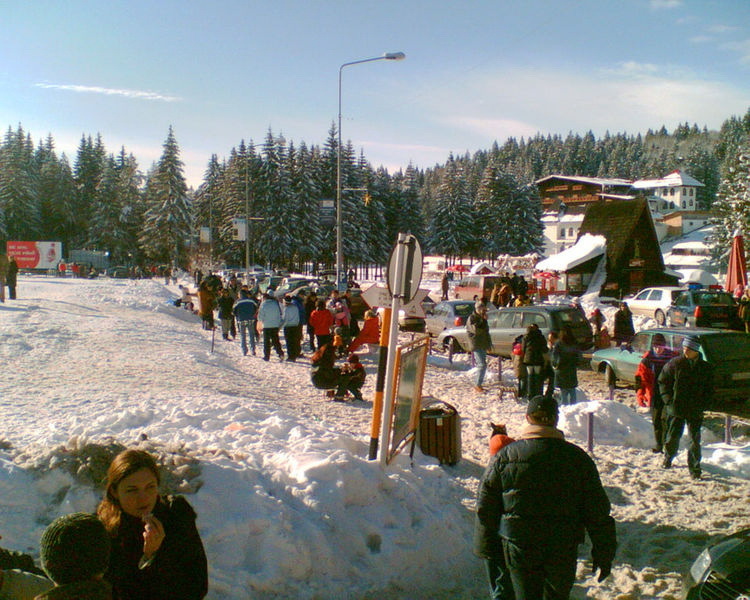 In 1906, it became a ski resort and only three years later, Poiana Brasov hosted the first ski contest in Romania; later on, in 1951, The World University Winter Games was also organized in Poiana Brasov. Nowadays, this wonderful resort is permanently changing to adapt itself to even more sophisticated tourists and trends. Situated at an altitude of 1030 m, Poiana Brasov is surrounded by 4 large mountains: Postavaru (highest altitude: 1.799m), Piatra Craiului (highest altitude: 2.238m), Bucegi (highest altitude: 2.505m) and Piatra Mare (highest altitude: 1.848m). as such, the annual average temperature is 5 degrees Celsius; the average temperature in July is 14, 5 degrees Celsius while the average temperature in January is -5 degrees Celsius. The snow mantle lasts 120 days per year and the rainfall exceeds 900 mm per year. 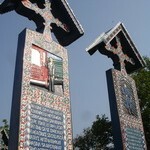 The resort is surrounded by coniferous forests due to the high altitude. 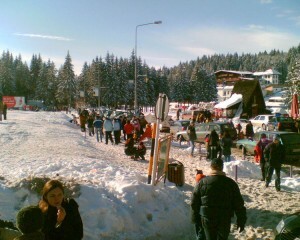 You can go even higher, Poiana Brasov being the departure point for trips to the cottages on Postavarul Peak (1.602 m high) and on Cristianu Mare Peak (1.704 m high). There are also a lot of caves around Poiana Brasov such as: the Milk Cave, Rasnoavei Cave, the Ice Cave, the Coltii Chililor Cave or the Bats’ Cave. 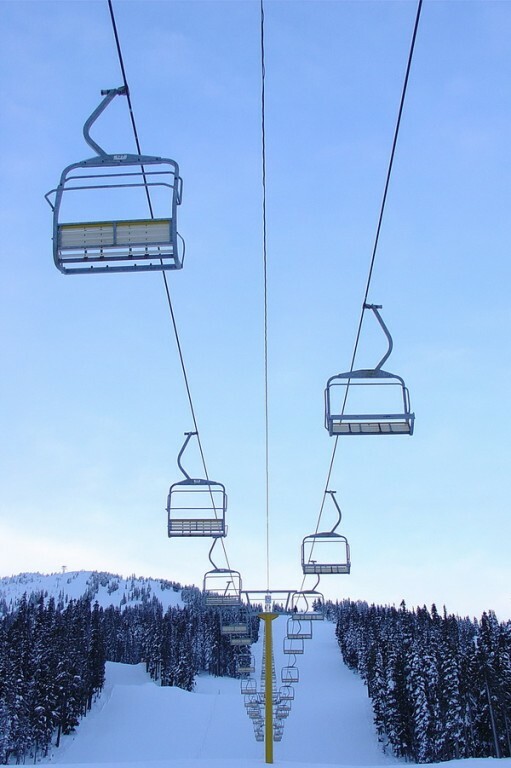 There are 12 ski slopes in Poiana Brasov, with different grades of difficulty (9 are more popular): Bradul (easy to ski on and the only one where you can ski during the night as well), Kanzel, Ruia, Subteleferic, Lupului (very difficult), Sulinar and Slalom (medium difficulty), Drumul Rosu and Stadion (low difficulty). 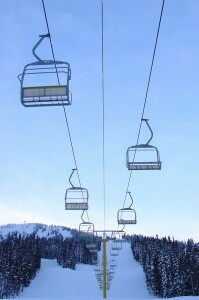 Cable transportation is also very well developed: aerial tramways – Capra Neagră and Kanzel, a gondola lift – Postavarul Expres and chairlifts – Bradul, Ruia, Subteleferic, Stadion. Thus, every measure has been taken so that you can enjoy this exciting activity without worrying about technical conditions. What impresses you at this resort is the beauty of the natural landscape combined with highly modern facilities and buildings (hotels, restaurants, clubs and so on). Moreover, the best part of this top mountain resort is that it isn’t limited to winter sports; visiting it during the summer, for example, is just as rewarding.